Watch as Mick Costello, course builder for the Land Rover Kentucky Three-Day Event presented by Mars Equestrian, discusses the many aspects of planning that go into the construction of the famous cross-country course for this annual international event at the Kentucky Horse Park in Lexington. This video is brought to you by Mirimichi Green. In this video, course builder Mick Costello takes viewers behind the scenes of the Land Rover Kentucky Three-Day Event presented by Mars Equestrian’s expansive cross-country course, which encompasses nearly four miles of rolling Bluegrass and 45 jumping efforts. The annual process of constructing the course for this international event is a year-round affair, starting with the course designer’s first plans made the preceding summer. Costello describes how he makes as many as 65 jumps available each year for possible use on the course, the majority of which are made out of local wood. He explains where he sources his materials and the tremendous amount of milling work that goes into actual construction of the fences. Since safety for horses and riders is always the number-one priority, Costello talks about how modern safety features, such as frangible pins, factor into the construction of certain jumps. And even though the beautiful jumps are the most visible aspect of the cross-country phase, Costello explains why footing is a critically important component in the overall safety and success of the course. He also points out the products and techniques he uses to help ensure the best possible ground on competition day. Finally, Costello lists the myriad final preparations which are made during the actual week of the event to welcome competitors and tens of thousands of spectators from around the world. 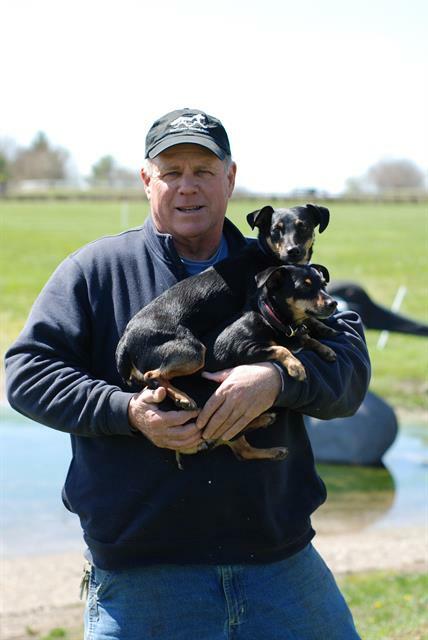 Mick Costello is one of eventing’s top course builders and has been the lead course builder for the formidable five-star cross-country course at the Kentucky Three-Day Event since 1999. For Costello, course building has been a family business. He first assisted his brother with building the Kentucky three- and four-star cross-country courses in 1995 before taking the reins four years later. Costello got his start as a course builder when he was just 13 years old as a way to work off lessons at the Pebble Beach Pony Club in Pebble Beach, Calif. Since the 1960s, Costello has built some of the country’s top cross-country courses, including events in California, Wyoming, the Radnor Hunt International Three-Day Event, The Dutta Corp. Fair Hill International Three-Day Event, and the 1996 Olympic Games in Atlanta, Ga.